On January 18 Kunsthal Charlottenborg launches a new collaboration with the internationally recognized art magazine Frieze about screening of videos produced by the magazine. The videos presented are specially selected for Kunsthal Charlottenborg by Frieze Magazine's editor for Scandinavia. As one of the first projects presented in Kunsthal Charlottenborg’s newly built cinema, the kunsthal will be presenting art videos produced by the trendsetting English art magazine Frieze from the middle of January. Associate editor at Frieze, Paul Clinton, has put together a thematic selection of videos linked to Kunsthal Charlottenborg’s exhibition programme. Paul Clinton will be present at the programme launch, which will take place on Wednesday January 18 at Kunsthal Charlottenborg’s cinema. Further programme details will be revealed in January, but among the videos on display will be Soft Floor, Hard Film by artist and film maker Matthew Noel-Tod, There Goes the Neighbourhood by critic Jonathan P. Watts and On essays, identities and Stuart Hall by the prize winning artist and film maker John Akomfrah. Since launching in 2012, Frieze Videos have created more than 40 videos. The magazine shows the best of contemporary art and culture from around the world. The videos have taken the shape of interviews and collaborations with artists, home and studio visits, bienniale reviews, city reports, video essays by young critics having their first go at creating a manuscript and much more. The magazine’s purpose is to capture the voices of the artists, explore their work processes and to examine the most significant ideas shaping the culture of today. 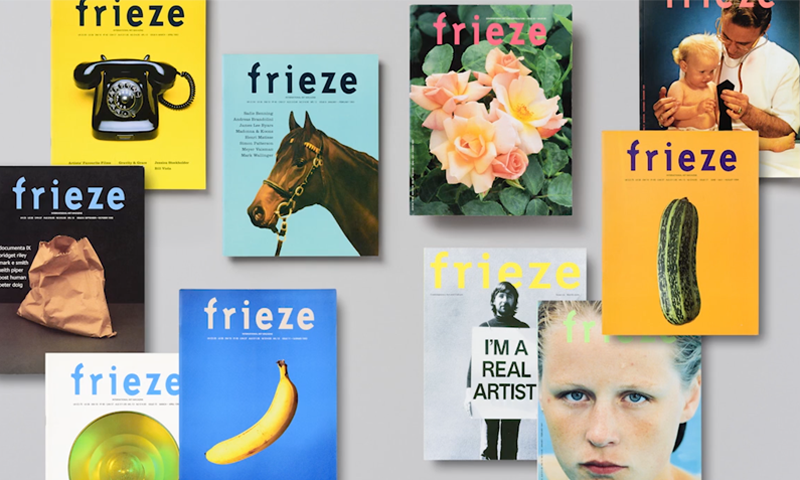 Read more about Frieze Videos. Press material and pictures can be found here.